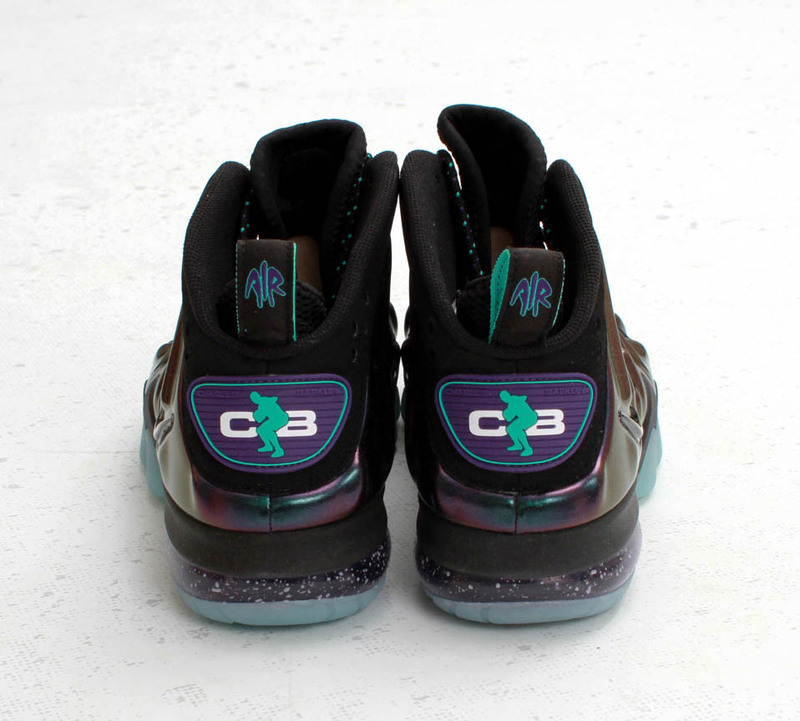 A few new images of the anticiapted "Eggplant" Barkley Posite Max slated to hit retailers later this month. 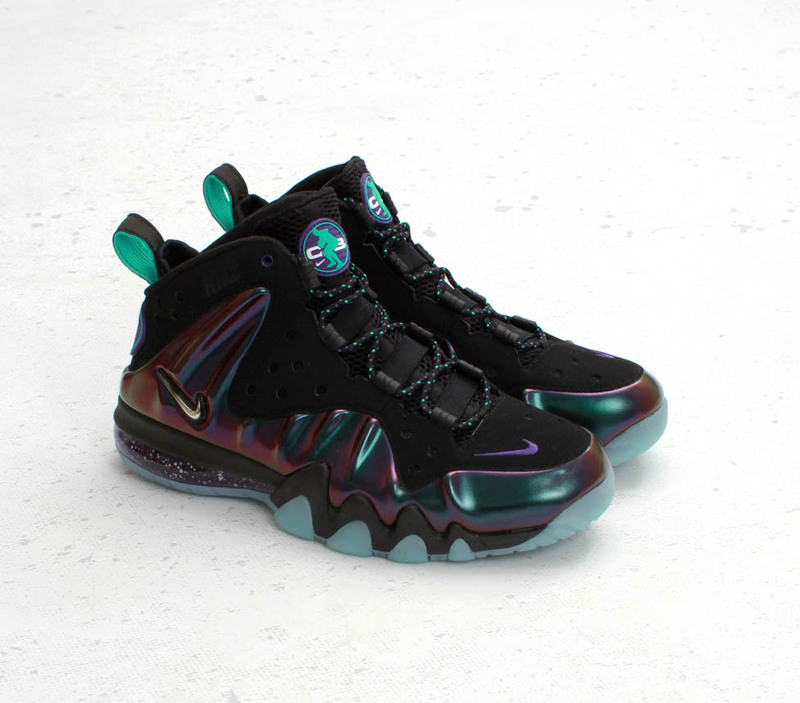 After a hyped up release of the "Rayguns" Barkley Posite Max from Nike Sportswear last month during All-Star Weekend, this month's version of the all new Charles Barkley shoe is sure to be just as successful when it hits retailers. 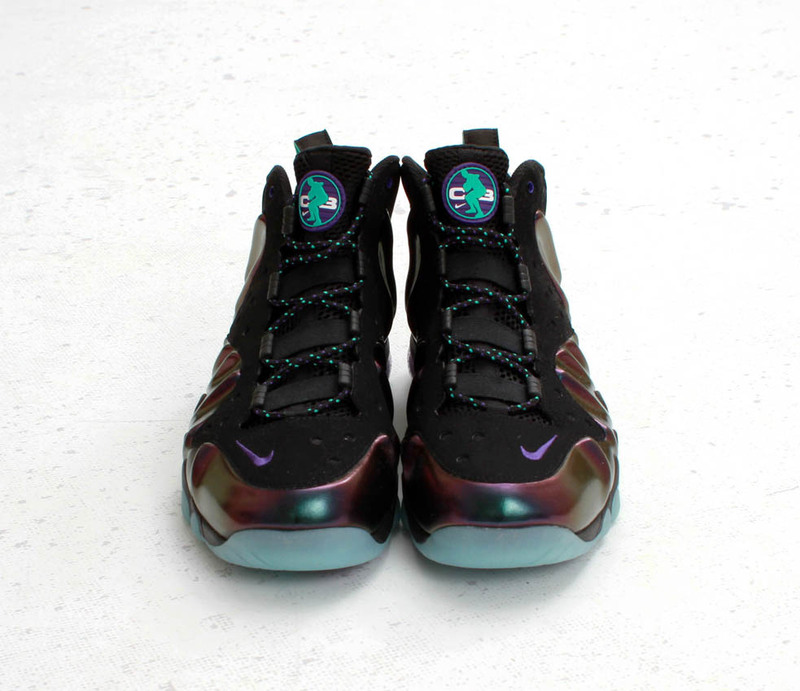 This version of the Barkley Posite Max designed by Nike Sportswear's Marc Dolce has a look reminiscent of the popular Eggplant Air Foamposite One with its color-shifting Foamposite upper. 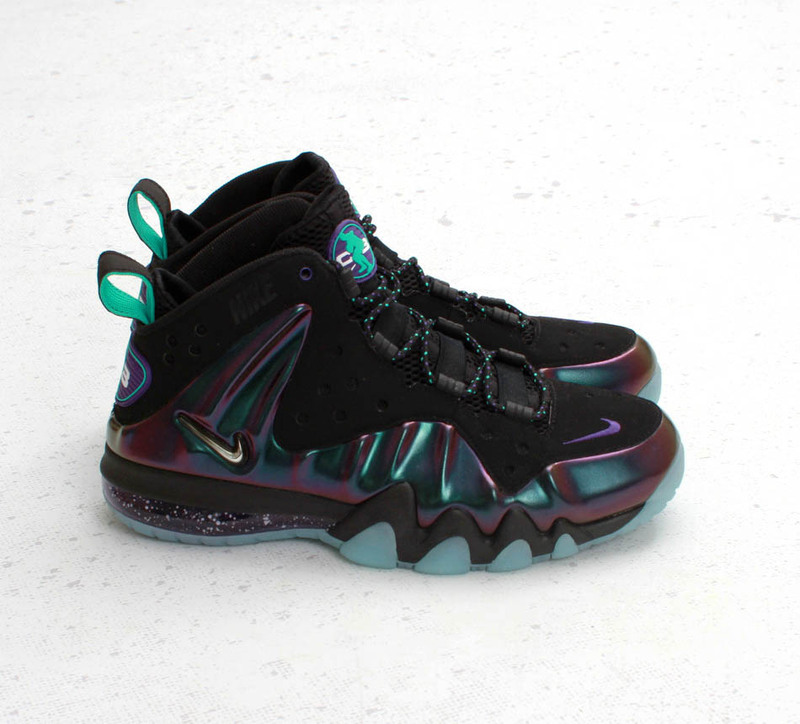 Also featuring a speckled Air Max unit, teal and purple accents and a glow in the dark outsole, this Barkley creation takes design cues from Air Max2 CB and modernizes them into an aggressive new Foamposite model. 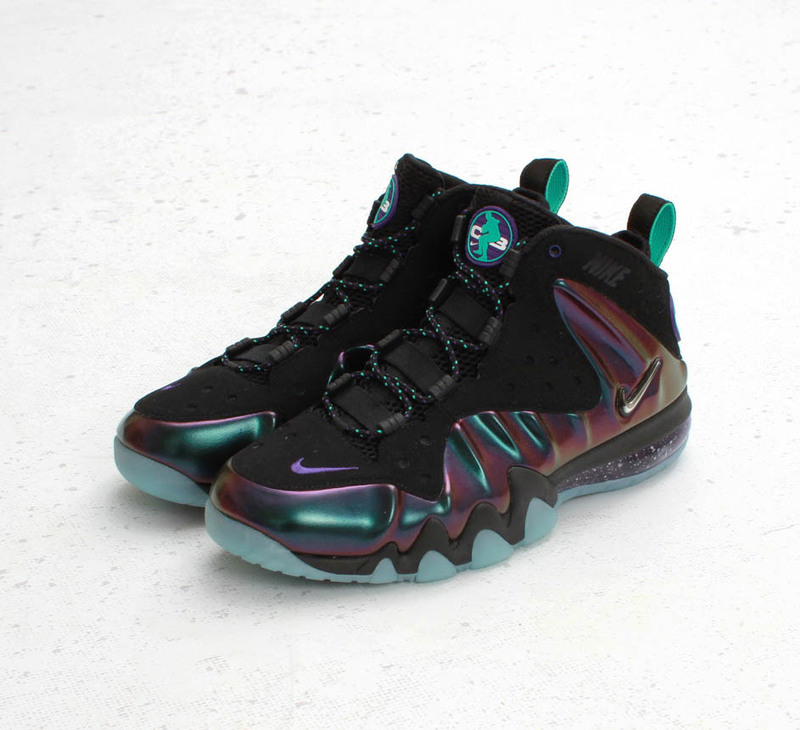 Expect the Eggplant Barkley Posite Max from select Nike Sportswear retailers like Concepts on March 23rd. Are these on your cop list for this month?